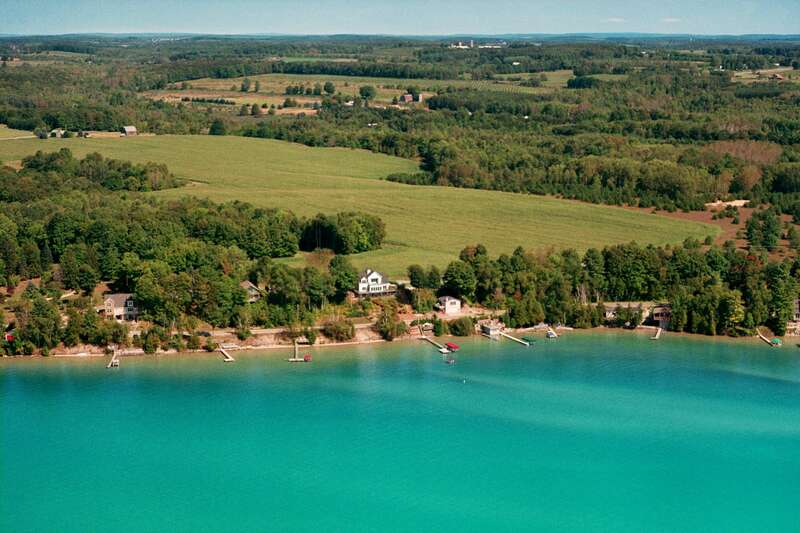 Located on world famous Torch Lake, high on a hill with views of 19 miles of crystal clear aqua blue perfection. The Torch Lake Bed and Breakfast offers absolutely spectacular views. Our sunsets are legendary. Be pampered with gracious hospitality and delicious full breakfasts. Excite your senses without leaving the inn; enjoy the cool breezes escaping from Torch Lake or use one of our kayaks or paddle boards to see more of the spectacular aqua blue waters. Relax on the large decks and enjoy the gorgeous views of this fabulous lake house. Our hot tub invites you to stargaze at night. The sunroom is spectacular. We have a private deck and docks and also provide fishing rods and snorkel equipment. Arrive by boat or float plane. ESCAPE TO PERFECTION ! ALLOW US TO PAMPER YOU ! From our dock on Torch Lake, take an excursion in our kayaks or on our stand up paddle boards. Ask us if conditions are right for a sunset cruise. Go biking on some of the area's lovely trails. Hiking? Check out the Grass River Nature Area or Glacial Hills Pathway and Natural Area. Sandy's Stables offers 18 acres of pasture and trails for horseback riding. They'll match you with a horse appropriate to your experience level. For the more adventurous, go skydiving or parasailing over nearby Lake Michigan. Ask the innkeepers for details. You can even arrive at Torch Lake B&B by seaplane or bring your own boat, We’ll guide you to moorage, sheltered by the bluff on which our B&B sits. We can lend you a car to get to a local restaurant for dinner if flying in and staying . We take great pride on being the most Romantic Inn in Northern Michigan. The Torch Lake Bed and Breakfast is the perfect place to propose to that special someone. The wonderful combination of our lovely rooms and the spectacular views of sunrises and sunsets, makes Torch Lake Bed and Breakfast very popular for honeymoons, anniversaries and other life celebrations. With our customizable packages and add-ons — such as cake, wine, chocolates, flowers and more — we make the effort to arrange everything, and you get the credit. Torch Lake Bed and Breakfast specializes in small, intimate weddings for up to 25 people total. Say your vows overlooking the water. Hold your reception on the deck. We do the catering. Innkeeper Deb is known for creating wedding cakes. See www.northern-delights .com for more information on wedding cakes. I pride myself for being a epicurean that prefers not to use conventional recipes . I prefer to create different delectable dishes daily for everyone to enjoy. I use all locally harvested fruits and vegetables - for example from Providence Organic Farm right next door, King Orchards, and from Friske Orchard, whose farm stand is so popular that bus tours stop there. For dinners choose from so many wonderful restaurants in the area. Go to my website to see a long list of restaurants to choose from. Short’s Brewing Company in Bellaire, only 10 miles away, is a leading tourist destination and a favorite of guests who stay at Torch Lake B&B. Go for the beer, go for the entertainment. Lots of fun. Enjoy using our private mugs for The Torch Lake B & B.
Torch Lake is the centerpiece of a nearly 31-mile water trail encompassing five lakes. You can go by water from Bellaire to Elk Rapids and out to the east arm of Grand Traverse Bay. We offer two kayaks, two stand up paddle boards, snorkel equipment and fishing rods for you to enjoy. It is possible to rent a pontoon boat or wave runners or a speed boat from local marinas. Ask the innkeepers about a sunset cruise aboard their 25-foot power boat. Don't forget that swimming in Torch Lakes crystal clear water is just perfection. Relaxing on our beautiful decks is the perfect way to enjoy the spectacular views of Torch Lake . According to National Geographic Torch Lake is known to be the third most beautiful lake in the world. Its crystal clear aqua blue water is spectacular. Highlights of Northwestern Michigan beauty, start outside our back door with Torch Lake and Lake Michigan and its miles of pristine beaches. We welcome guests from all over the world coming to visit this paradise. Many of our guests venture forth to explore Sleeping Bear Dunes National Lakeshore or Mackinac Island, each about 90 minutes away. All make perfect day trips .